When you choose to work with our team at Aaron & Franklin Tax, you will see that we are dedicated to ensuring you understand the terminology of the specific situations that you are involved in. 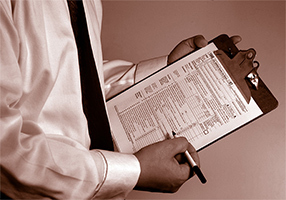 A tax lien is paperwork which the IRS can file which can show up in the future on your credit report. A tax levy is when the IRS takes action to collect taxes from your employee wages or bank accounts. When the IRS has threatened you with a tax lien or account levy, please don't hesitate to get in touch with us right away. We would be happy to assist you in any way possible, including offering you a free face-to-face consultation with a knowledgeable tax expert on our team. Please call us now at (888) 602-3204 for more information!